“We had an outstanding experience working with Danette from beginning to end. She had a wealth of knowledge about real estate in the area, including our own neighborhood, and that helped us to feel confident about how we approached the sale. Danette was very organized and efficient, and, ultimately, she was able to sell our home after being on the market less than week. Additionally, her extensive experience and many connections on the island made the completion of the sale seamless. "I am a retired attorney who represented the largest private land holder in the United States so I am very familiar with real estate transactions. 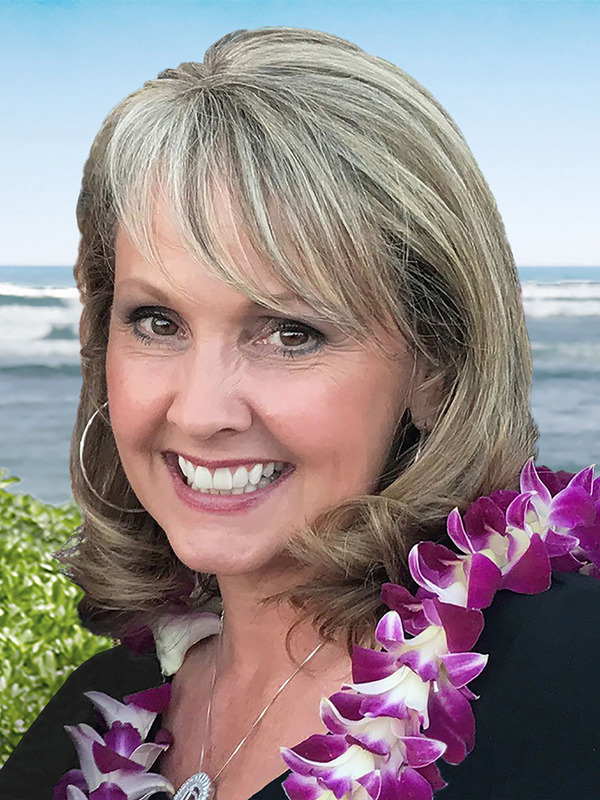 I can say without equivocation that Danette Andrews handled our Kauai condo sale in a very professional manner and was a delight to work with throughout a relatively trying transaction. Danette is extremely trustworthy and an accomplished pro with whom to work. I hold her in highest esteem." "Thank you Danette! This has been the easiest purchase I have ever made. I was able to fly over and stay in my new condo over the holidays. It was a blessed trip. Thank you and your team for making it so seamless." "Danette was a true pleasure to work with. We felt like we were in good hands the entire time, from the initial meeting to get our property listed to the final day of closing. Danette was supportive, thorough, and brought a great wealth of knowledge to each step of our real estate transaction. We recommend her highly to everyone we know. She is professional, knowledgeable, and friendly; the essence of an agent you want at your side." "My wife and I had visited Kauai on several occasions with our family, and like so many decided to invest in a vacation property on the island...that would also generate some revenue during our time away. ...we called (Danette)... so we could understand a little more... She was as professional as they come. She answered my questions about the property, other properties and financing. Danette has a wonderful grasp of the island, and knocked herself out showing us properties making sure we had plenty of comparisons... Once we decided to make an offer... Danette negotiated a deal that both sides felt good about. Now the fun began. She’d warned me that financing could be tricky on this particular property and she was spot on. We were originally turned down for a loan even though we were financially strong enough, but Danette was a real bulldog. She took control and put us in touch with a Mortgage Broker that knew this property only had one bank investing in it. Months went by and she patiently held the seller and buyer together while we navigated a loan on a difficult property. I’m sure there are many good agents out there, but this sale was anything but easy. Danette just made it seem that way. There’s a reason why she’s always listed with the top sellers. Would we use her as our agent again…no question. Absolutely." "Selling a piece of our family history is not easy, but Danette made selling the last of the Kapaa homesteads painless. She found the PERFECT buyers who appreciated our families long Hawaii history and what that land meant to us. Danette's compassion, grace and style makes me recommend her services to many of my friends. She is not just a Realtor, she is a friend for life." "Dear Danette, You have tolerated so much with us, and you've kept your smile and your patience. You are a truly amazing woman! We feel very lucky to have met you and to have you as our Realtor. You are always looking out for our best interest, and we really appreciate that!" If you are already one of her raving fans and would like to share your testimonial, please let us know!